Beans: They’re magical! Not only are they delicious, but they have many health-giving properties, and their numerous varieties can be put to a seemingly infinite number of uses. Crescent Dragonwagon is the author of numerous highly successful cookbooks, including Passionate Vegetarian. 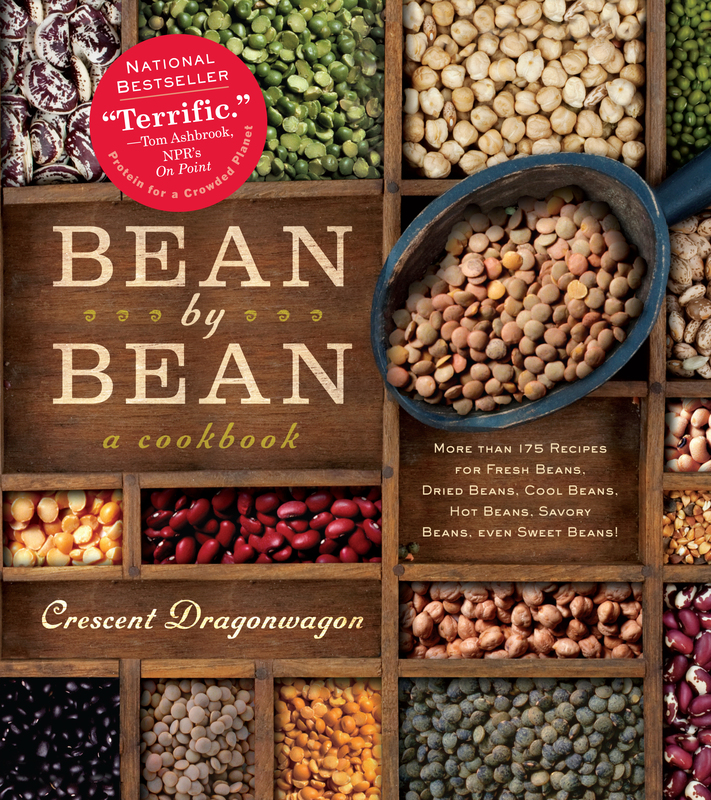 Her latest, Bean by Bean: A Cookbook, celebrates all things leguminous, and is chock-full of scrumptious recipes and fascinating facts. Below, 10 interesting things you probably didn’t know about beans! Beans are the only cultivated plants that actually enrich, rather than deplete, the soil during the growing process. How is this possible? Legumes have nodules on their roots that add nitrogen to the soil instead of using it up. Cooked beans can be frozen for up to six months. Thaw them overnight in the fridge before reheating. Bean carbohydrates have been proven to drastically improve the stability of blood sugar levels in diabetics. Many adult-onset diabetics have been able to greatly reduce or eliminate their dependence on insulin through diets containing substantial amounts of beans. India, Canada, Turkey, Australia, Nepal, the United States, Bangladesh, and China are the world’s top lentil producers. Beans, their kin, and the products made from them—such as tofu and tempeh—are the most concentrated source of plant-based protein in the world. Between 6 and 11 percent of a cooked bean’s weight is protein. Some ancient cults who believed in reincarnation, most notably the monastic followers of Pythagoras, thought human souls traveled through the stems of bean plants to Hades, where they were then transmogrified for their next lives; it was therefore a sin to eat beans or even walk among bean plants. A 1907 resolution introduced by Minnesota Senator Knute Nelson states that while the Senate is in session, bean soup must be served daily, regardless of the weather. In terms of sheer numbers and staggering diversity, no part of the world comes close to matching the abundance and variety of beans available in America: kidney and black beans, navy and cranberry, lima, white runner, scarlet runner, brown tepary and white tepary, calico, eye-of-the-goat, nightfall, fresh green beans, and more! Crescent Dragonwagon is a writer and food enthusiast who lives on a farm in Vermont. You can follow her on Twitter @CDragonwagon. Bean by Bean is available for purchase online and in a bookstore near you.